E3 2018 is just around the corner and while every PES fan waits patiently to see what exactly Konami have in store, the anticipation for the trailer just got a whole lot more exciting. We highlighted earlier the subtle hints of brand manager; Jonas Lygaard and now it seems that Adam Bhatti is getting in on the action with a tease about the actual trailer itself will be all gameplay. Soon you will see one of the best trailers we’ve ever created, that showcases the visual power and improvements/additions coming to #PES2019 - all actual gameplay footage too. 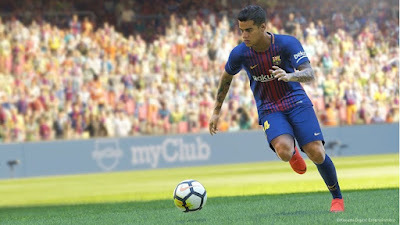 Of course, unless you’ve been living under a rock today, you’ll know that EA released their first trailer for FIFA 19 which featured no gameplay so this again strengthens the ‘gameplay first’ mantra Konami have aimed for over the last few years.